Dr. Yitao Qi pursued his B.A. from College of Animal Science, Shandong Agricultural University, Taian, China and then received his Ph.D. from College of Veterinary Medicine, China Agricultural University, Beijing, China. He worked as a Research Associate in Texas Heart Institute, St Luke’s Episcopal Hospital, Houston, USA. He has a number of research publications in various journals. 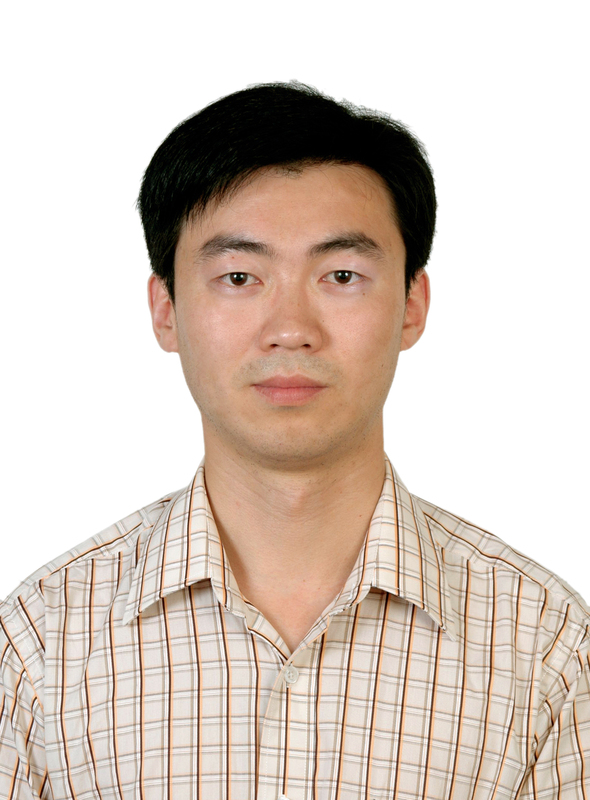 Presently he is a Professor in College of Life Sciences, Shaanxi Normal University, Xi'an, Shaanxi, China. We will use cell, animal model and disease specimens, integrated with molecular, cellular and developmental biology and pathology knowledge and methods, to study the regulatory mechanism of protein SUMO modification (SUMOylation) mediated cell signaling transduction, and its role in the development of human diseases, and provide theoretical basis for medical treatment. 1. Hongmei Wu, Xu Chen, Jinke Cheng, Yitao Qi* (*Corresponding author). SUMOylation and Potassium Channels: Links to Epilepsy and Sudden Death. Advances in Protein Chemistry and Structural Biology (IF: 3.036, 3åŒº). 103 (2016): 295-321. 2. Yitao Qi, Jingxiong Wang, Valerie C. Bomben, Depei Li, Shaorui Chen, Hao Sun, Yutao Xi, John G. Reed, Jinke Cheng, Huilin Pan, Jeffrey L. Noebels, Edward T.H. Yeh. Hyper-SUMOylation of the Kv7 potassium channel abolishes the M current leading to seizures and sudden death. Neuron (IF: 15.054, 1åŒº, å¼•ç”¨1æ¬¡). 83(5) (2014): 1159-1171. 3. Xunlei Kang, Yitao Qi*, Yong Zuo, Qi Wang, Yanqiong Zou, Robert J. Schwartz, Jinke Cheng, Edward T.H. Yeh. (*equal contribution). SUMO-Specific Protease 2 is essential for suppression of polycomb group proteins mediated gene silencing during embryonic development. Molecular Cell (IF: 14.018, 1åŒº, å¼•ç”¨74æ¬¡). 38 (2010): 191-201. 4. Yitao Qi, Yong Zuo, Edward T.H. Yeh, Jinke Cheng. SUMO-specific protease 2 is essential for myostatin expression and myogenesis. Journal of Biological Chemistry (IF: 4.573, 3åŒº, å¼•ç”¨1æ¬¡). 289(6) (2014): 3288-3293. 5. Yitao Qi, Yiding Tu, Di Yang, Qian Chen, Jun Xiao, Yiqiang Chen, Juanling Fu, Xilong Xiao, Zongcan Zhou. Cyclin A but not Cyclin D1 is Essential for c-myc-Modulated Cell Cycle Progression. Journal of Cellular Physiology (IF: 3.839, 2åŒº, å¼•ç”¨49æ¬¡). 210 (2007): 63-71. 6. Zhiqin Wang, Yitao Qi*, Qian Chen, Di Yang, Shusheng Tang, Xi Jin, Jie Gao, Juanling Fu, Zongcan Zhou, Jie Wang, Xilong Xiao. (*equal contribution). Cyclin A is essential for the p53-modulated inhibition from benzo(a)pyrene toxicity in A549 cells. Toxicology (IF: 3.621, 2åŒº, å¼•ç”¨5æ¬¡). 256 (2009): 1-6. 7. Jinhui Zhou, Yitao Qi, Joan Ritho, Yongxin Zhang, Xiaowei Zheng, Liming Wu, Yi Li, Liping Sun. Flavonoid glycosides as floral origin markers to discriminate of unifloral bee pollen by LC-MS/MS. Food Control (IF: 2.819, 2åŒº). 57 (2015): 54-61. 8. Yi Li, Yitao Qi, Joan Ritho, Yongxin Zhang, Xiaowei Zheng, Jinhui Zhou, Liping Sun. Characterization of flavonoid glycosides from rapeseed bee pollen using a combination of chromatography, spectrometry and nuclear magnetic resonance with a step-wise separation strategy. Natural Product Research (IF: 1.225, 4åŒº). 2015: 1-4. 9. Jinhui Zhou, Yitao Qi, Joan Ritho, Lili Duan, Liming Wu, Qingyun Diao, Yi Li, Jing Zhao. Analysis of maltooligosaccharides in honey samples by ultra-performance liquid chromatography coupled with evaporative light scattering detection. Food Research International (IF: 3.05, 2åŒº, å¼•ç”¨1æ¬¡). 56 (2014): 260-265. 10. Jinhui Zhou, Yitao Qi, Hongmei Wu, Qingyun Diao, Feifei Tian, Yi Li. Simultaneous determination of trace migration of phthalate esters in honey and royal jelly by gas chromatography with mass spectrometry. Journal of Separation Science (IF: 2.594, 3åŒº, å¼•ç”¨1æ¬¡). 37 (2014): 650-657. 11. Jinhui Zhou, Yitao Qi, Qingyun Diao, Liming Wu, Xia Du, Yi Li, Liping Sun. Cytotoxicity of melittin and apamin in human hepatic L02 cells and HepG2 cells in vitro through apoptosis. Toxin reviews (IF: 0.842, 4åŒº). 32(4) (2013): 60-67. 12. Jinhui Zhou, Yitao Qi, Yali Hou, Jing Zhao, Yi Li, Xiaofeng Xue, Liming Wu, Jinzhen Zhang, Fang Chen. Quantitative determination of juvenile hormone III and 20-hydroxyecdysone in queen larvae and drone pupae of apis mellifera by ultrasonic-assisted extraction and liquid chromatography with electrospray ionization tandem mass spectrometry. Journal of Chromatography B-Analytical Technologies in Biomedical and Life Sciences (IF: 2.694, 3åŒº, å¼•ç”¨7æ¬¡). 879 (2011): 2533-2541. 13. Di Yang, Yitao Qi, Qian Chen, Zhiqin Wang, Xi Jin, Jie Gao, Juanling Fu, Xilong Xiao, Zongcan Zhou. The over-expression of p53 H179Y residue mutation causes the increase of cyclin A and Cdk4 expression in HELF cells. Molecular and Cellular Biochemistry (IF: 2.388, 2åŒº, å¼•ç”¨6æ¬¡). 304 (2007): 219-226. 14. Qian Chen, Yiqiang Chen, Yitao Qi, Lihua Hao, Shusheng Tang, Xilong Xiao. Chracterization of carbadox-induced mutagenesis using a shuttle vector pSP189 in mammalian cells. Mutation Research-Fundamental and molecular mechanisms of mutagenesis (IF: 4.44ï¼Œ2åŒº, å¼•ç”¨13æ¬¡). 638 (2008): 11-16. 15. Yiqiang Chen, Yanhong Shang, Xiaoping Wu, Yitao Qi, Xilong Xiao. Enzyme-linked immunosorbent assay for the detection of neomycin in milk: effect of hapten heterology on assay sensitivity. Food and Agricultural Immunology (IF: 0.984, 4åŒº, å¼•ç”¨12æ¬¡). 18(2) (2007): 117-128. 16. Jinhui Zhou, Jing Zhao, Suxia Zhang, Jianzhong Shen, Yitao Qi, Xiaofeng Xue, Yi Li, Liming Wu, Jinzhen Zhang, Fang Chen, Lanzhen Chen. Quantification of melittin and apamin in bee venom lyophilized powder from Apis mellifera by liquid chromatography-diode array detector-tandem mass spectrometry. Analytical Biochemistry (IF: 2.305, 3åŒº, å¼•ç”¨3æ¬¡). 404 (2010): 171-178. 17. Rong Cai, Jianmin Gu, Haipeng Sun, Xiaobing Liu, Wenhan Mei, Yitao Qi, Song Xue, Shuxun Ren, Joseph E. Rabinowitz, Yibin Wang, Edward T.H. Yeh, Jinke Cheng. Induction of SENP1 in myocardium contributes to abnormaities of mitochondria and cardiomyopathy. Journal of Molecular and Cellular Cardiology (IF: 5.218, 3åŒº). 79 (2015): 115-122. 18. Xingyuan Cao, Mei Dong, Jianzhong Shen, Beibei Wu, Congming Wu, Xiangdang Du, Zhuo Wang, Yitao Qi, Bingyu Li. Tilmicosin and tylosin have anti-inflammatory properties via modulation of COX-2 and iNOS gene expression and production of cytokines in LPS-induced macrophages and monocytes. International Journal of Antimicrobial Agents (IF: 4.259, 2åŒº, å¼•ç”¨24æ¬¡). 27 (2006): 431-438. 19. Wang Zhiqin , to Qi Tao , Luo Ye , Wang Jie , Zhou Zongcan , Xiaoxi Long . Benzopyrene on different genotypes p53 cell cycle. Journal of Toxicology . 23 ( 3 ) ( 2009 ) : 205-208 . 21. Yang Di , Gao Jie , Qi to Tao , Chen Qian , Wang Zhiqin , Fujuan Ling , Zhou Zongcan , Xiaoxi Long . p53 gene on human embryo lung fibroblasts Cycle Research into . Cancer. Distortion. Mutation. 19 ( 6 ) ( 2007 ) : 427-431 .